Hello everyone! I hope you guys are having a wonderful week so far; for those in Singapore, it's two more days to Chinese New Year and a short break! Time to start feasting again! Hope everyone has completed their spring cleaning and shopping. For Nails Talk today, I'm gonna do a re-cap of the manicures I sported last month and earlier this month. I was looking through the photos and I felt that they deserve to be posted here too. So here goes! 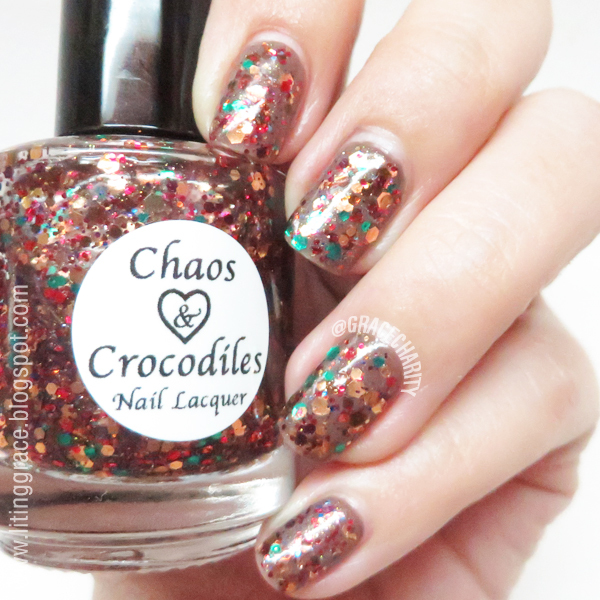 Chaos and Crocodiles Teddy Bears' Picnic (how cute is that name) over OPI Berlin There Done That. 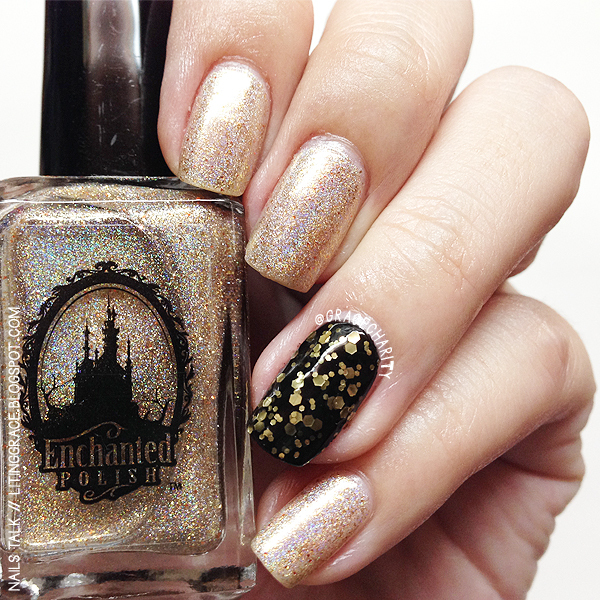 Teddy Bears' Picnic is a glitter topper with bronze, green, red and purple glitter in a clear base. 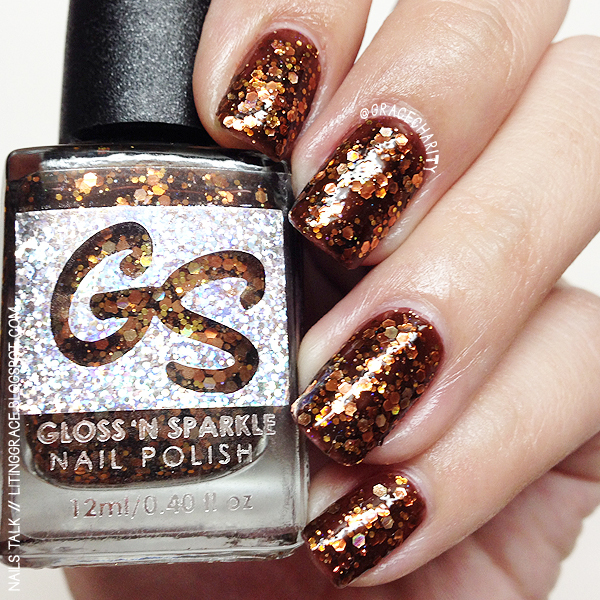 The color combination is stunning and the glitter pick up despite being a glitter bomb. This is my very first Chaos and Crocodiles polish and it's definitely not going to be the last! 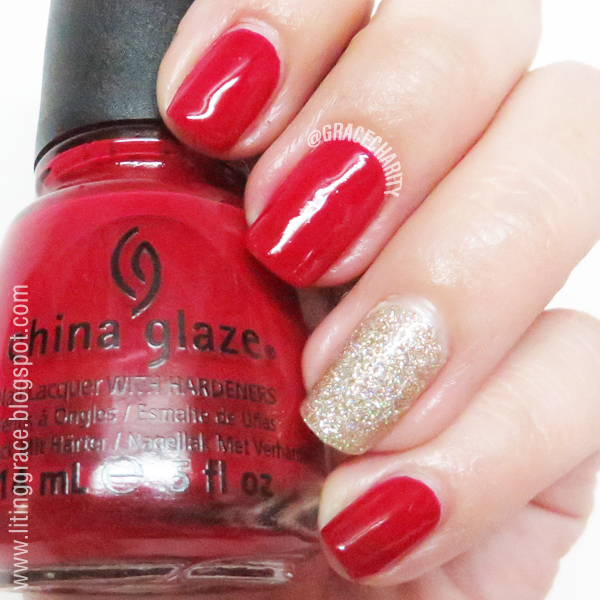 The Christmas season calls for some red and gold nails so I decided to shower some love on my China Glaze polishes. Chose Red Satin for this set of manicure with I'm Not Lion for the accent nails. This is one look that I will probably wear again for Chinese New Year. Something blue, something silver and something sparkly for the Christmas season with Kiss Me at Midnight and It's Frosty Outside from the OPI Mariah Carey Holiday 2013 collection, one of my favorite collections ever! I almost bought the entire collection but thankfully managed to practice some restrain and got only 9 shades. Will get round to using the remaining 7 and share them soon! 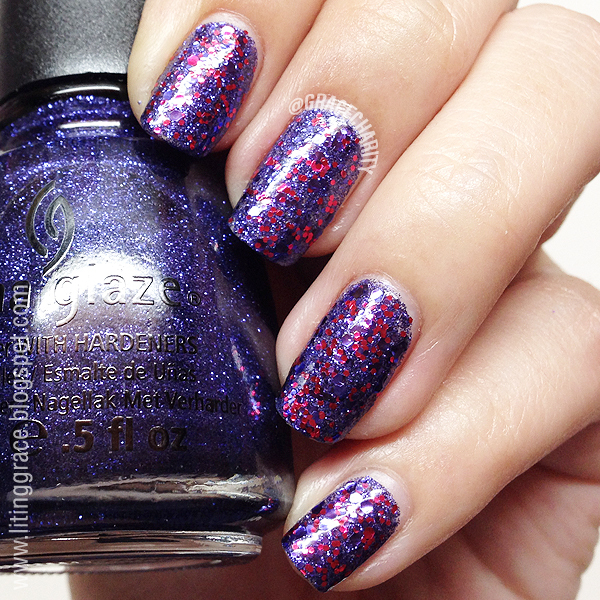 The last weekend of 2013 saw me wearing All Wrapped Up together with Be Merry, Be Bright from the China Glaze Holiday 2013 Happy HoliGlaze collection. China Glaze never fails to disappoint with their Holiday collections and this collection had my wallet shrinking as I purchased 5 out of the 12 shades. Rang in 2014 with blue sparkly gradient nails with Ulta3 New Year's Eve (how apt) and Orly Sheer Peche for the base. Had purchased New Year's Eve in Perth back in November 2012 but as usual, I forgot all about it until I was rummaging through my stash and found this and couple of other Ulta3 polishes. Photos don't do this polish justice, it's way more sparkly in real life. First manicure of 2014 was a gold and black manicure, a color combination which I had been meaning to try for the longest time. Chose Enchanted Polish Austin Powers (another long forgotten polish) with China Glaze Liquid Leather and Deborah Lippmann Cleopatra in New York for the accent nail. It's been ages since I wore brown so I dug out Gloss'n Sparkle Mellifluous, one of the very few brown glitter polish that I owned. A dark chocolate brown base polish with copper, gold and caramel glitter, this stunner was a breeze to apply and glitter pick up was amazing! I was expecting it be a top coat eater given the sheer amount glitters but surprisingly it need a single coat of top coat. That's all for Nails Talk and I hope you had enjoyed what I had put up for this post.